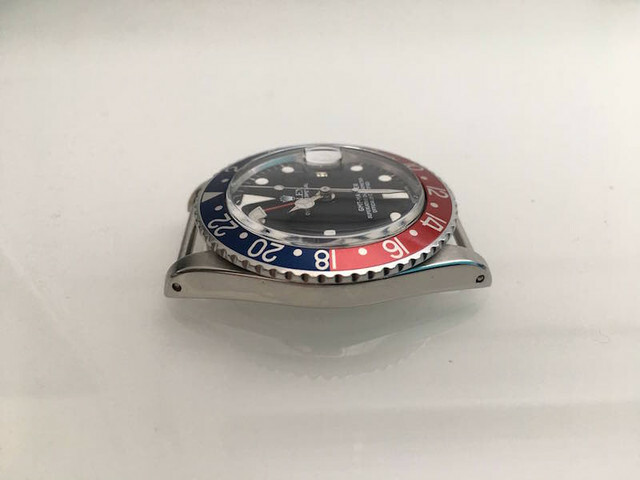 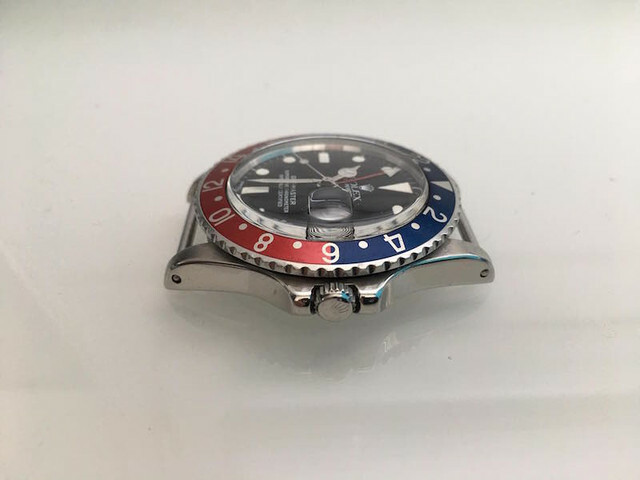 For sale is this Rolex GMT-Master Ref. 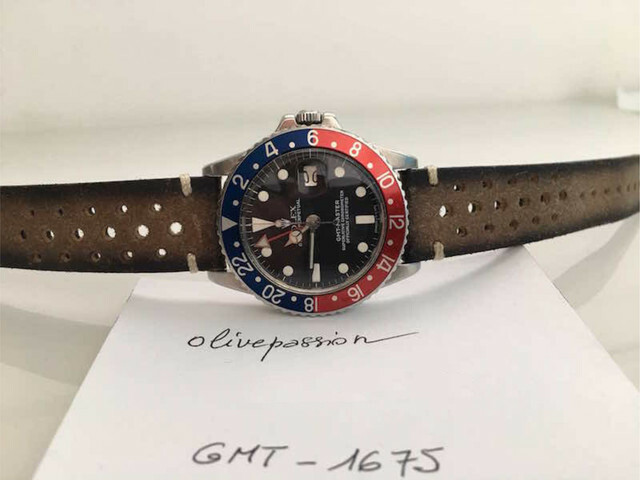 1675. 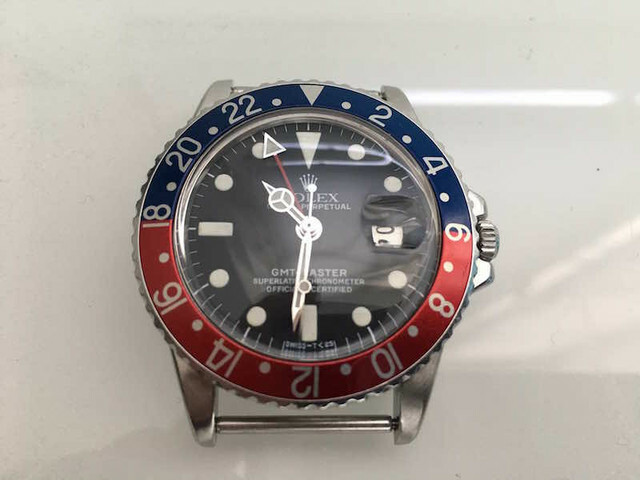 The watch is in excellent condition, with a fantastic case with wide chamfers on the lugs, a stunning clean dial, and all original parts.